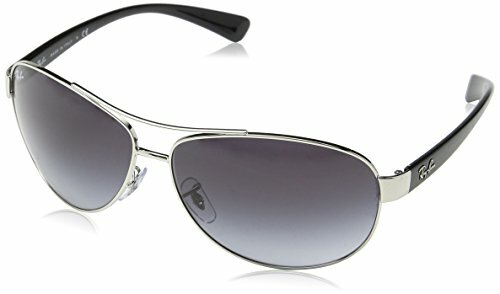 Men's SILVER aviator metal shape frame. With GREY GRADIENT non-polarized lenses. This style is not Rx-able. This is an inspired oversized Aviator frame. With a sporty retro look that has a wrapped frame for full coverage and secure fit.